Senator Isakson discusses his position on the aluminum tariff. Senator Isakson answers a question about his position on the Mueller investigation. 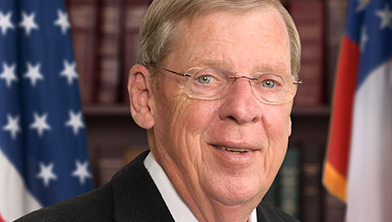 Senator Isakson discusses his vision for a bipartisan America with a caller. Senator Isakson held this Access Live event to speak about his positions on important issues facing Georgians. He spoke about many topics, ranging from tariffs to Social Security and Medicare. He took participants questions live on the call and answered questions about the VA, infrastructure, and the 60-vote rule.